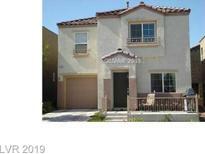 Below you can view all the homes for sale in the Towne Center South subdivision located in Las Vegas Nevada. Listings in Towne Center South are updated daily from data we receive from the Las Vegas multiple listing service. To learn more about any of these homes or to receive custom notifications when a new property is listed for sale in Towne Center South, give us a call at 702-930-8014. This home is waiting for YOU! MLS#2089353. Simply Vegas. Quaint 2 story home in tree lined community* Entire first floor includes 18" tiles* Kitchen includes granite look counter tops and cabinets with plenty of storage* Master bedroom upstairs with balcony, private bathroom & walk in closet* Nicely sized secondary bedrooms* Wonderful community* MLS#2088498. Keller Williams Realty Southwe. 2 bedroom plus loft 2.5 baths, 1 car garage, all appliances stay, MLS#2089072. AmeriWest Realty, LLC. Near Centennial Hills Hospital, NW location w/great shopping & restaurants! Rental restrictions apply. MLS#2088556. Rebbeck Realty. Each Grand Master Suite w/Spa like Retreat! Move-in Ready! ! MLS#2087578. Maxim Properties. 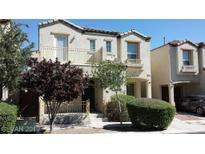 Neighborhood pool/playground/BBQ/bsktball; Easy access to 95/215 beltway, grocery, shopping, restaurants, Mt Chas & more! Centennial Hills living = Home! MLS#2085087. Raintree Real Estate. Refrigerator, washer & dryer included! Low landscape maintenance. MLS#2079753. Realty ONE Group, Inc. Right In The Heart Of Centennial Hills. Must See! MLS#2077140. SMS Realty Group. Near freeway access, shopping, restaurants, mountains, golf, great schools, and parks MLS#2070033. ERA Brokers Consolidated. Community features a large gated pool with a covered gazebo! MLS#2069411. Realty ONE Group, Inc. Elementary school & US-95 freeway close by. Solar rooftop energy efficient panels MLS#2065830. ADG Realty. Buyer's Agent to verify all information and dimensions. MLS#2048806. Luxury Realty. Great location. Reduced for a quick sale. MLS#2014745. Nevada Real Estate Corp.